Volunteer learning to ride motorbike. We so appreciate the lovely, usually young people who come out to stay with us for up to 2 or 3 months at a time. We have had French, British, Swiss, Chinese, Portuguese, American, German, Indonesian and a few more that I can’t remember exactly. Mostly they are terrific, willing to learn new life skills and to share a few of their skills with us. Our only problem is finding enough for them to do so they don’t get bored! A few of our visitors have also helped us out on occasion and enabled us to get away for a bit of a break together. When you think of it – it’s quite a daunting task to take on the running of the station all on your own but they have done the job admirably. Now where is the next one? I would love to get away again to see my new grandson! Our latest volunteer came to us via the website Workaway which we find to be the best one. She was only 21, from Germany and had terrific English – always a bonus! She had previously worked on a station in Western Australia for 6 months as a volunteer! Alongside paid workers who were lazy and at times uncaring in their attitude to the work asked of them. 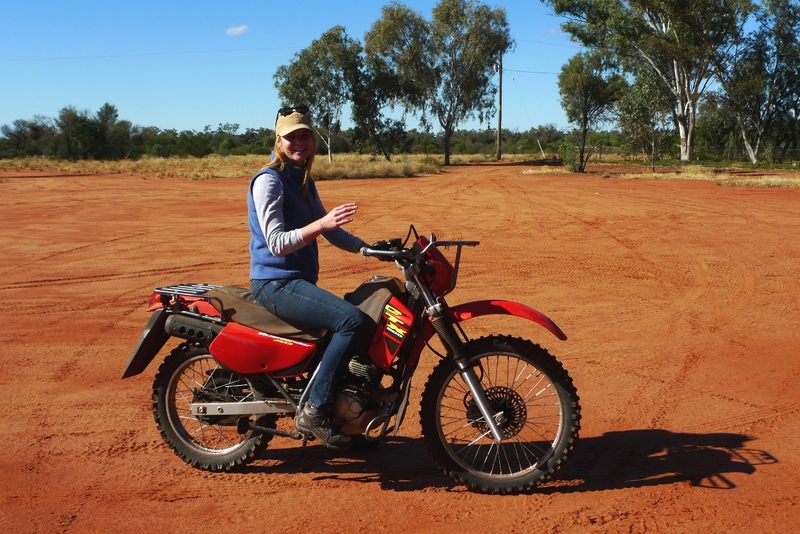 But Fran loved everything about working on the station – most of all the mustering and the yardwork with the cattle. She has since moved on to a paid job, mustering, not too far from us. So she might be back again one day. Our next volunteer from Norway arrives soon; he has been working on a farm in New Zealand for the last month. I really take my hat off to these young people who are travelling the world, having fun, contributing and helping out in so many ways. There are many businesses in the west who could not survive without the worldly backpackers filling the positions that no one else seems to want. They are not all volunteers of course – some get paid pretty well and have food and lodging provided so they can save for their next trip. But ours are mostly volunteers, sometimes we have to pick them up from Cunnamulla or Bourke other times they have gotten a lift in the mail truck ( an experience!) and some have their own cars which is the best way to get to us.